CALLING ALL RACERS OR RACER WANNABEES! If you or a family member is even remotely interested in in becoming a race team member, please call or email your intent ASAP! If you would like to become part of a winning team, improve your skiing and racing skills, win prizes and have fun, then read on! Ultra fun winter sports as competitive as you want or just to say, "I'm a race team member!" to friends and family. Races are conveniently held in NC and W.
You can race as few or as many races as you wish. There are no age limits or restrictions, and no gender discrimination in scoring. Racers are eligible for fabulous door prizes. Prizes include ski vacations from around the USA, ski racks, helmets, poles, and goggles. Racers finishing in the top three places of their flight receive ski accessories like goggles, socks, and wax. Racers receive lift ticket and lodging discounts. Being part of a winning team with a winning attitude and camaraderie. You get to wear skintight race clothing! 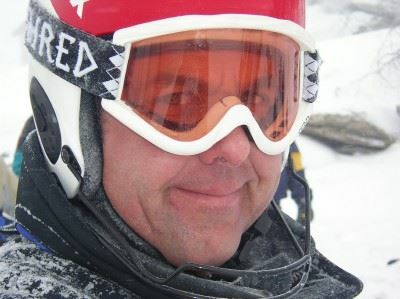 Since 1973, the GSOC has been part of the Crescent Ski Council: www.crescentskicouncil.org which encourages family participation and promotes good sportsmanship, friendly competition and socializing with old friends while making new friends! The Crescent Program helps teach young people and adults how to have fun in a structured environment by participating within its rules and regulations. The Crescent Program continuously promotes the benefits and fun of Crescent Racing to non-members through community events and membership drives. Every winter, the GSOC assembles a race team to participate in the Crescent Ski Council's snow ski racing program to compete against 21 other member clubs in the Southeast. Last year, we had 40 participants ranging from beginners to experts, 10 years old to 65. The extended Crescent-racing program is considered one of the finest in the nation. With over 100 participants most weekends, the group is divided into 20 flights based on a handicap system. This allows Skiers, Snowboarders, and Mono-boarders of every ability to compete on an equal basis. Anyone who is a member of GSOC may sign up for the race team. Sign up any time. There are 6 race weekends in NC and WV open to both skiers and snowboarders. We race Slalom on Saturdays and Giant Slalom (GS) on Sundays. We use a handicap scoring system and you end up racing against 9 racers of similar ability (handicap), within 20 ability levels (flights). Here is the CSC 2018-2019 Race Schedule in PDF format. There are always two courses, an easy one for beginners and a more challenging course for seasoned racers. The top 3 racers within each flight win podium prizes and there are also race day door prizes, which include ski vacations out west! The racing program also offers a week long race clinic in Steamboat Springs, CO for all levels of skier and snowboarders to learn or improve their skiing and/or racing abilities. Crescent also offers a Development Series for beginning racers to learn the system and establish a handicap. To quality for Crescent racing, a race must have a verifiable NASTAR.com handicap of 60 or less or a 75 or less handicap from any Crescent race within the last two years. You can qualify at Steamboat this year or any of the other race weekends. Please do not be intimidated! Our abilities range from novice to expert — you will fit right in.